Regional Hepato-Pancreatico-Bilary Unit for Surrey and Sussex Royal Surrey County Hospital in Guildford, Surrey. He trained at Guy’s medical school in London where he was awarded five Medical School Prizes. He gained 15 post-graduate awards and two Travelling Fellowships. Following fellowship of the Royal College of Surgeons, he undertook specialist training in minimal access surgery in France, Germany and Belgium. He undertook an 18 months research project in California and this work resulted in the award of a Hunterian Professorship at the Royal College of Surgeons in England in 1990. His Master of Surgery Thesis was awarded in that year. Collectively he has written, or his research has contributed, to 100 peer reviewed articles and numerous oral presentations. 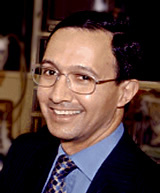 He is qualified to perform a wide range of Diagnostic Investigations, surgical and laparoscopic techniques. His expertise is in liver, pancreatic and gallstone surgery. He has been a surgical tutor for the Royal College of Surgeons England. He has served on national professional committees and councils including NICE. He has just completed a four year term as Programme Director for South Thames West on the Surgical Training Committee. He has been elected to the Council of the Association of Surgeons of Great Britain and Ireland. He has also been nominated to serve on the Surgical Advisory Committee for General Surgery as part of the Joint Committee for Higher Surgical Training.